I started out building a simple display case for some collectibles and then decided I should do something more with it. Think Billy Big Mouth Bass except much more inappropriate. If you have ever watched Late Night with Conan O’Brien or have heard of Triumph The Insult Comic Dog you may be able to make some sense of this. This installation searches, reads and archives tweets containing Triumph’s famous catch phrase. There is a motion detection mode as well, where Triumph speaks using VOs from the show. Under the hood some of the hardware used includes 2 Arduino Megas, WiFly Shield, WAV shield, EMic 2 TTS module, IN-18 Nixie tubes, PIR motion sensor, 4 servos, T Amp, 2 2″ Aluminum/Mg Full Range Speaker Drivers, thermal printer, Ikea Dioder, and a PowerSquid Calamari Edition. This is a build log of the project. Dogs of Late Night Arduino Installation – #TeamCoco Tweets Visualized in 2D and 3D from insultcomicdog on Vimeo. Yo Homes Smell Ya Later: SpeakJet VS. Emic 2 Text-To-Speech Module Rap Battle from insultcomicdog on Vimeo. 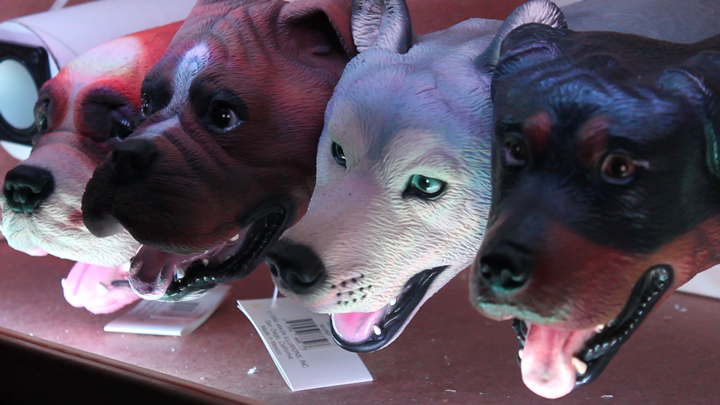 The Dogs of Late Night in 6 Seconds for #adafruit6secs #teamcoco from insultcomicdog on Vimeo. Arduino + IN-18 Nixie Tube Counter from insultcomicdog on Vimeo. Initial Triumph Mouth Animation Test from insultcomicdog on Vimeo. T Amp Test for Arduino Project from insultcomicdog on Vimeo. My First Soldering Project – Electric Sumo Banzai Audiophile Headphone Amplifier from insultcomicdog on Vimeo.